There is so much to consider when building an online presence. Between balancing marketing with content creation, ad spending with organic components like SEO, and social media with multimedia, you can feel stretched to the limit. Within all of this, however, is the need to remember that you are attempting to build a brand. Your brand is how people will see you and it will determine what people think of you, whether they become repeat customers and how likely they are to recommend your business to others. Regardless of whether you are building a legitimate business, a non-profit brand or something entirely different, it’s vital to know what goes into building an image. Below, we’ll discuss three elements that must be considered when you set out to build a brand. 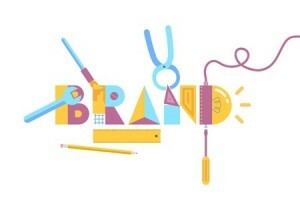 At the core of any brand is the fundamental question of who and what it is. Your brand will very likely imitate the personality you possess, so this can sometimes be a referendum on who you are as an individual. If you are responsible for a larger company or endeavour, then you’ll likely need a brand manager or some form of PR to assist. In most cases, however, you’ll be able to engage in a bit of brainstorming about what your brand stands for and what it offers to people – whether they be subscribers, customers or visitors. In many cases, videos/multimedia, intense social media campaigns and various elements of a web design can all convey the inevitable personality of your brand to users. The next element you’ll want to heavily consider is what your brand stands for as a whole and what is its back story. While many people never bother to read long and drawn-out descriptions about the brand’s past (in these cases, you’d just be pinging noise), incorporating various elements of where your brand has been and where it’s going into product descriptions, social media blurbs and email campaigns can add a touch of reality to your approach. There is much to be said about the effect of “humanizing” a brand in the eyes of shoppers and subscribers. When you have a story, the effect it will have on people cannot be underestimated. What Is Your Image Goal? Lastly, ask yourself how you want your brand to be perceived. Different brands have different goals in this regard. Some want to be perceived as professional, while others want to be seen as informal. Regardless of your personal preferences in this regard, knowing ahead of time what you’d like to be to your audience will help you ultimately shape a brand mission and approach that accomplishes your dreams. If you want to be doing more than just pinging noise and generic platitudes about your brand, then you need to address a few components of it beforehand. By knowing what your brand’s story is, what your goal is in terms of image and who you are as a brand and person, you’ll be able to better channel a message that resonates as genuine and effective. What Elements Constitute a Successful Brand Video? Why Is My Facebook Campaign Not Working?